While some people left acne and breakouts in their teens, there are many men and women who battle acne well into adulthood. There hundreds of skincare products on the market that target acne, but sometimes they just aren’t as effective as you may have expected. 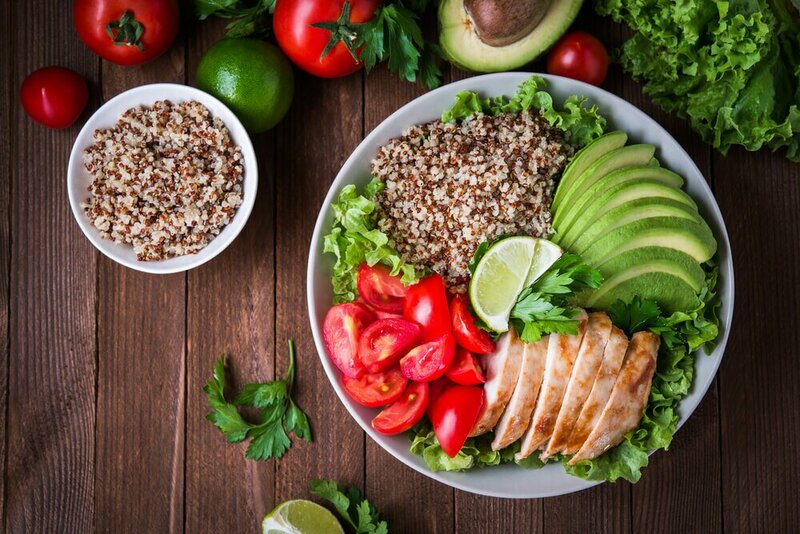 If you feel like you’ve tried just about everything to combat your breakouts but they still don’t seem to budge, clean eating may be the way to go! Recent research has shown that maintaining a clean diet can lead to clear skin. Below you’ll find which things you should avoid, as well as the foods you should consume more of. Keep in mind results will not be immediate; it will take time for your body to “detox” the remanence of the food that you stopped eating and begin to reap the benefits of the new foods that you started eating. Meat: This is mainly because of the added hormones in many of the meats sold today. Although, you don’t have to avoid all meats; try to avoid any red meats and processed meats. Of course, it’s still important to get protein, so stick to lighter meats such as chicken breast and fish. Junk Food: Surely, you saw this one coming, right? Over processed snacks such as chips, cookies, fries, candy, and the like are not good for you in general. Specifically, the sugar and salt take a toll on your skin. Dairy: Milk and dairy products seem to be the first thing that acne suffers remove from their diet and start to see changes. However, there are many people who don’t eat dairy products and still suffer from acne. Not to mention, there are many other health benefits that come from milk—keep this in mind when deciding which foods to nix. Oil Rich Fish: Salmon and tuna are both rich in oils that provide your skin with beneficial nutrients. Specifically, a serving of fish provides your body with B vitamins which product fatty acids and metabolize amino acids—this all leads to soft skin. Chia Seeds: These tiny seeds pack a powerful skincare punch with omega-3 fatty acids. Omega-3’s help to protect the skin by building up and maintaining skin cells membrane. Berries: Blueberries, strawberries, raspberries, and black berries are all great tasting options with skin clearing benefits. Berries are loaded with antioxidants which help clear the skin by fighting off infection. Water: If you’re not drinking the recommended eight 8oz glasses of water each day, now is the time to start. Remember, your skin is an organ and it needs water to function properly. Upping your water intake is an immensely effective way to flush toxins from the body and keep the skin functioning properly. A tip for those who are more prone to breakouts when experiencing stressful situations: staying hydrated helps the brain function more efficiently which means it is better able to cope with stress…less stress means fewer blemishes. Kale: This leafy green is rich with skin loving vitamins including vitamins A, B, C, E, and K. In addition, a serving of kale is packed with notable amounts of calcium, potassium, magnesium, iron, and protein. These nutrients will fight current blemishes and defend against future breakouts as well.